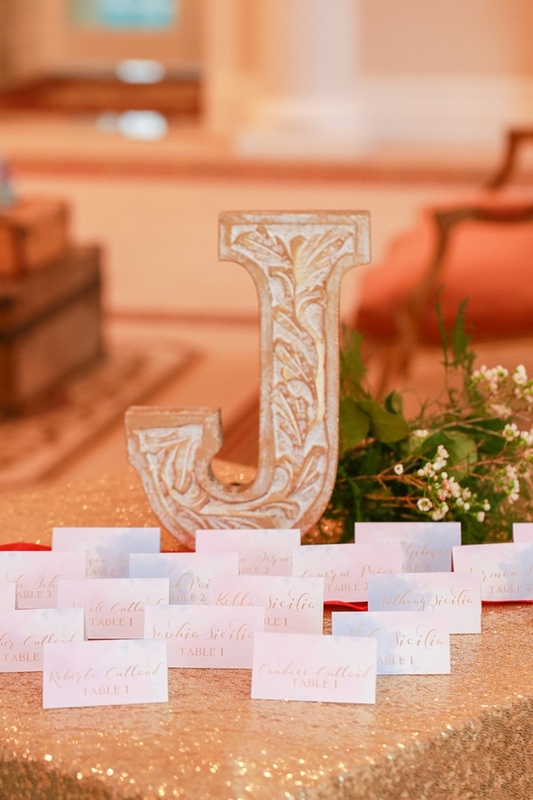 Inspired by Pantone's Rose Quartz and Serenity Blue, Savy Events and Fresh Look Photography waved a magic wand and made this truly whimsical fairy tale wedding inspiration come to life with a bit of Rapunzel-esque aesthetic at The Mansion at Double R Ranch in Suffolk. 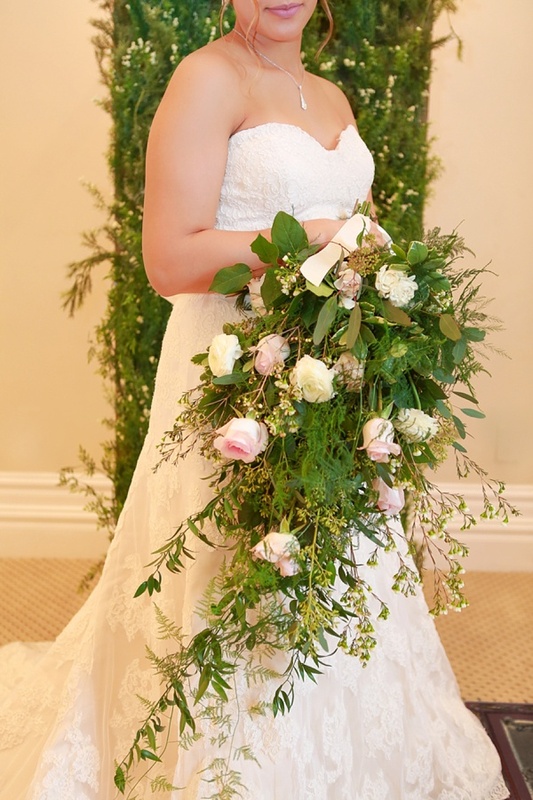 A lush cascading bridal bouquet with draping ferns by Kathy Forrest Design and a "magically" suspended in mid air tiered wedding cake with delicate sugar lace and pink rosebuds crafted by Gourmet Bake Shoppe set the stage for the happily ever after as the beautiful bride transformed into a princess with a classic lace gown from Milk and Honey Bride and romantic hair and makeup by Jenna Kathleen. 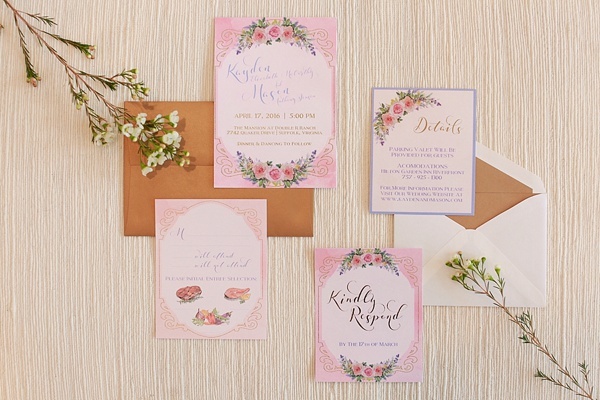 The ornate watercolor stationery by Amber Dominique Designs matched with gilded flatware and warm wooden tones makes our hearts sing a little song and wish for our fairy godmothers to come whisk us away. 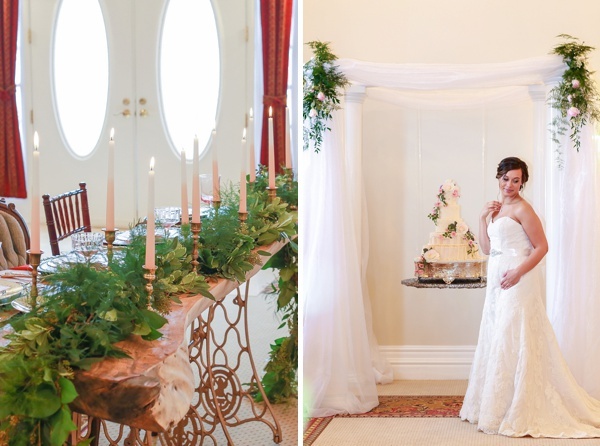 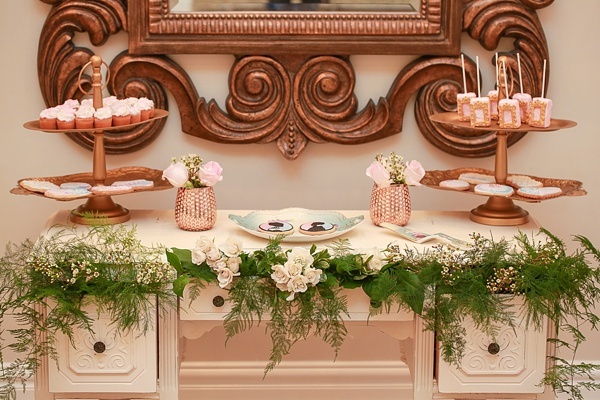 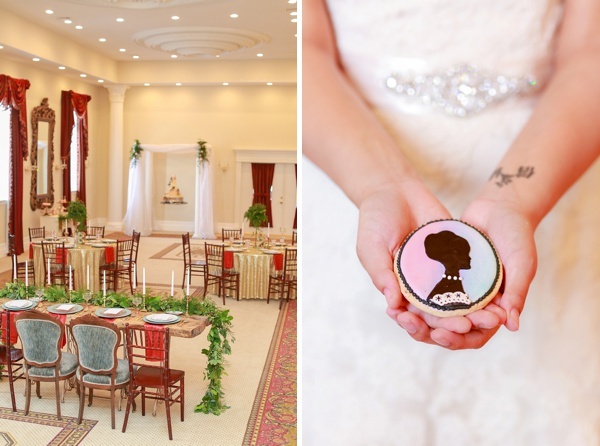 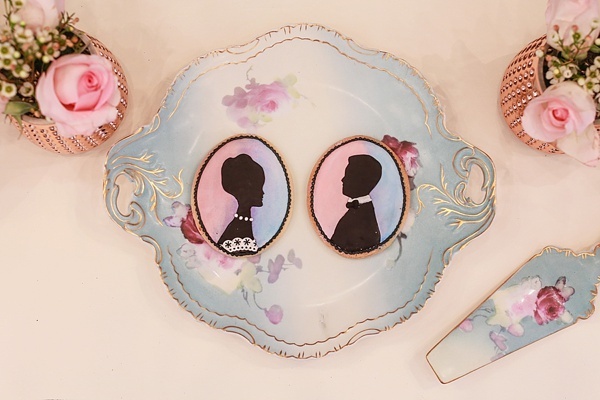 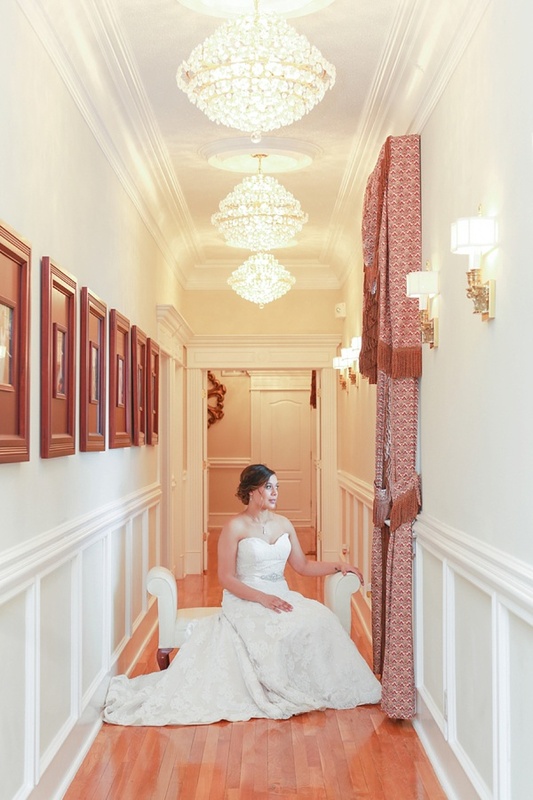 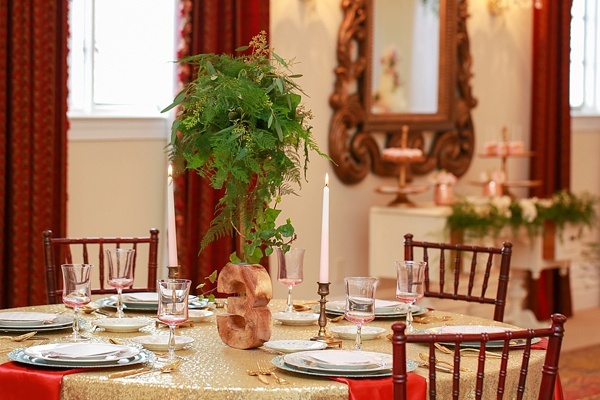 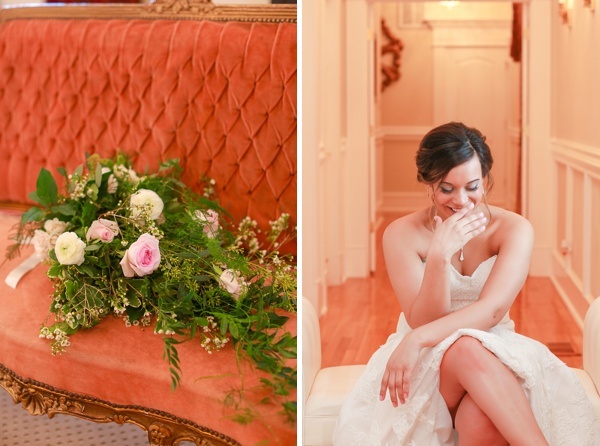 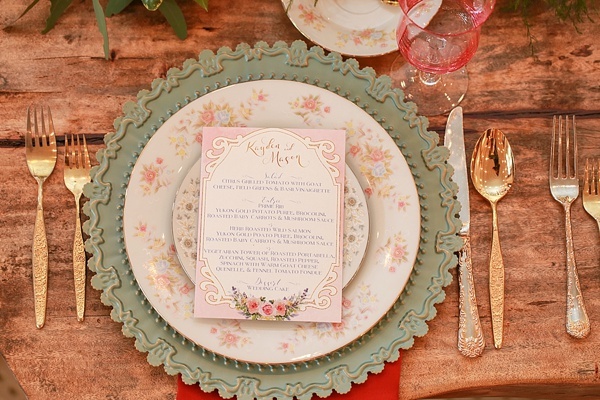 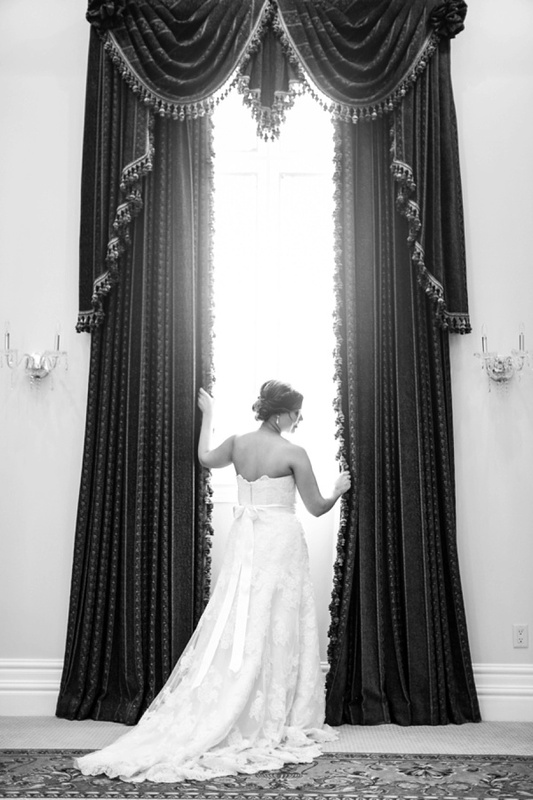 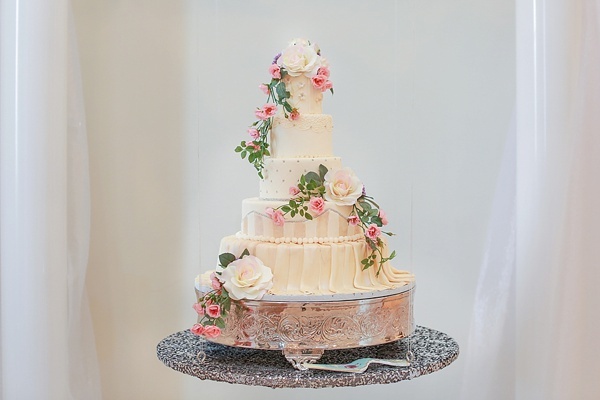 For the classic romance out of a storybook kind of wedding, this inspiration has it all!